Long-gone are the days of searching for an ATM or holding onto credit or debit cards to make purchases. PDC Smart Band® RFID wristbands provide the ultimate convenience of cashless payments by transforming every guest’s wrist into a secure wallet. 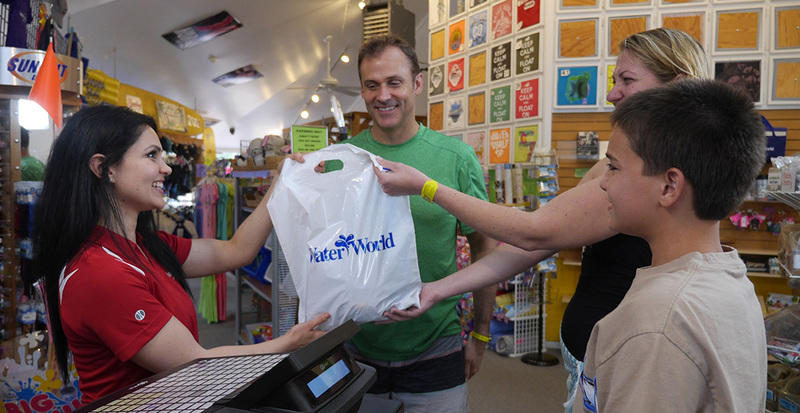 PDC partners with today’s leading point of sale providers to enable turn-key, secure cashless payment transactions throughout your park . In fact, modern point-of-sale systems can be easily integrated with an RFID reader with minimal investment. The benefits far outweigh the investment! Since launching RFID sales transactions take about half the time compared to using credit cards or cash. With quicker processes come faster purchases, shorter guest lines, and more satisfied customers. 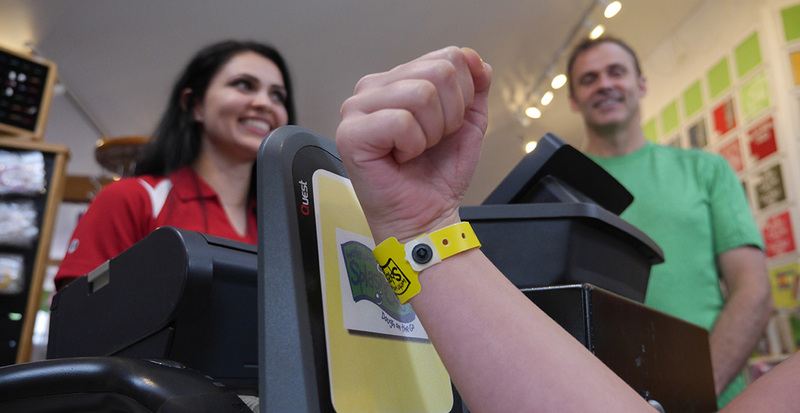 Parents do not have to worry about their children spending the family vacation budget because children’s RFID wristbands are linked to a pre-funded account. The system allows the guest more impulse buying opportunities and the “wow” factor is great for both kids and adults. Kim Schaefer - Chief Executive Officer at Great Wolf Resorts, Inc.
It’s part of our mission to create great guest moments. The convenience of cashless spending is a major customer value point that helps define these moments. No fiddling around with wet money at our water park! Increase park revenue by providing cashless spending opportunities at food and beverage outlets, gift shops, vending machines, business service centers, and more! Transactions using RFID cashless payments are extremely quick and easy, taking about half the time compared to using credit cards or cash. With quicker processes come faster purchases, shorter guest lines, and more satisfied customers. Less time waiting in line means guests now spend more time enjoying your parks amenities. RFID payment options also provide significant cost savings from minimizing shrinkage, and eliminating cash transportation, security, and reconciliation expenses.